This article is re-posted with full permission from the League of American Bicyclists. I’ve been interested in cycling all of my life, since I was a kid. But growing up and in college, cycling was about racing. Living in Arkansas, riding to work wasn’t a safe or comfortable option. It wasn’t until I moved to Portland that I got a different kind of introduction to cycling. 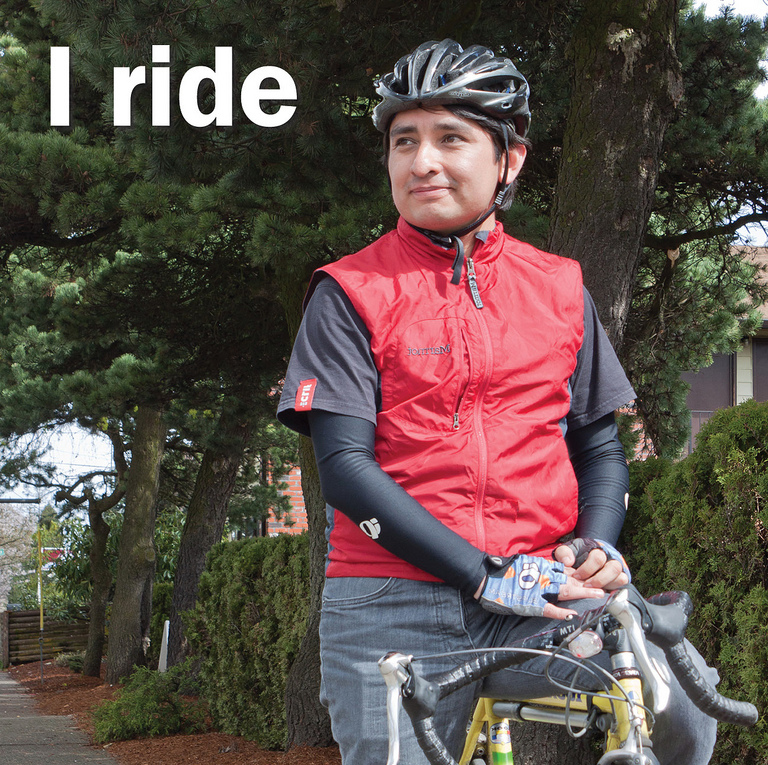 In Portland, bicycling is more for commuting. I decided I would give myself three months to test it out and it was the hardest three months in Oregon: November, December and January. I was able to do it and I enjoyed it. I’m in a bike lane basically the whole way to work, which is great and something that’s almost unheard of in any other part of the country. I saved a lot of money, felt healthy and less stressful at work. At the time, I had just started new job at a nonprofit organization, the Hacienda CDC. One of our programs partnered with the Community Cycling Center and we felt really close to that work. At one point, 20 percent of the Hacienda staff was commuting by bike. The organization targets the Latino community and, in those neighborhoods, there weren’t a lot of Latinos riding to work. I happened to be one that does, and the Community Cycling Center felt my story would be a good connection to community outreach, too. I hope I am a role model for younger kids. I have a little brother from Big Brothers Big Sisters and one of the first things we did, one of our first activities together was going to the Community Cycling Center and learning how to fix your own bike. Hopefully, he learned something. Hopefully, he will want to become a commuter one day, too — and not spend all his money on a car.